Is writing or simple arithmetic an issue with your kids? Learn whether it might be due to a writing disorder called dysgraphia. One in a series of Parent Information Books by the award-winning authors Drs. Linda and Al Silbert, this title includes tons of easy-to-implement proven strategies to solve writing and writing related challenges. Parents and teachers get easy-to-implement, practical strategies to help kids succeed. You'll learn how writing issues also affect all other areas, including doing arithmetic. 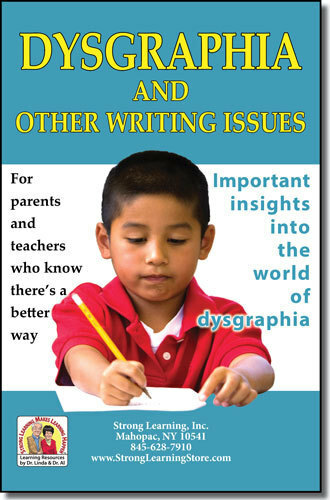 This readable guide includes important insights into the world of dysgraphia. Discover what you need to know and what you need to do to address the root of your child's problems with writing.